“First to climb Mt. Everest” prize already went to Tenzing Norgay and Edmund Hillary years ago. So, there are others who want to create and break their own records. One of these over-ambitious people was former Foreign Minister of Nepal, Shailendra Kumar Upadhyay. He took it upon himself to scale the summit and become the oldest living person to do so. However, on the way up, his body couldn’t take it anymore and by the time he tried to climb down and reach the base, he unfortunately breathed his last. He was 76 at the time. The current record for the oldest living person to successfully make it up goes to Yuichiro Miura, a Japanese climber who was 80 years old and had gone through a couple of heart operations and a problem with his pelvis. Anyone in their right mind knows the dangers of climbing a mountain and literally puts their life and death in the hands of volatile nature. The same can be said for Nepal-born and Canadian-raised Shriya Shah-Klorfine. The professional climber tried to make it to the summit and was almost successful, though she, like many others, fell ill. On her descent down the mountain of ice, she succumbed to the roughness of Everest. 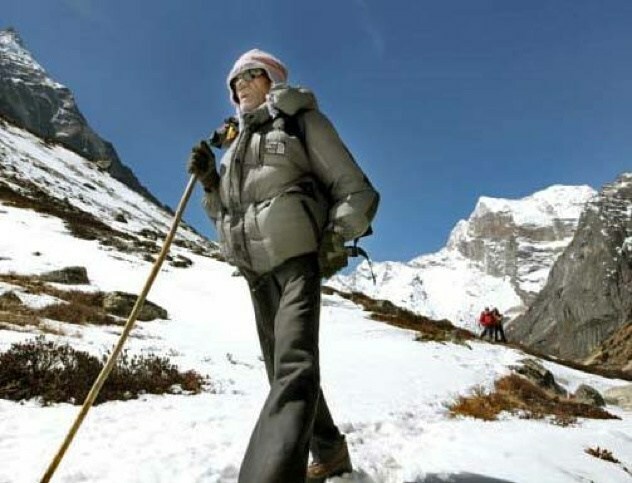 Her body had to be carried down by experienced Sherpas, a perilous task that requires serious expertise and expenses. She is lucky to have been able to afford the over $30,000 price, as there are many other deceased climbers who’s resting place are the slopes of mountainside. Have you heard of the South East Ridge of Mt. Everest? It is also called the “Rainbow Valley” due to the number of bodies of dead climbers, all garbed in colourful attire. Many have been buried by snow, others recovered and returned to their homes and still more never recovered. One distinctive climber who’s remains became somewhat of a landmark for others belonged to German Hannelore Schmatz. It was 1979 that she managed to summit the peak, but on her way down, triumph evaded her. 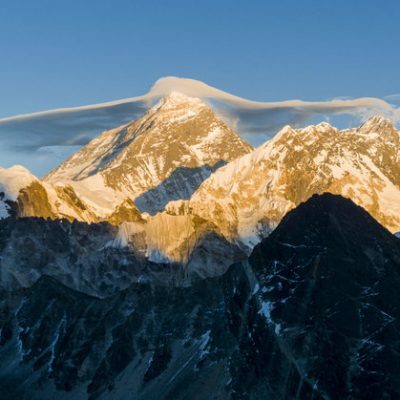 Though she was warned by the Sherpa she came with to continue descending, she and climbing partner, Ray Gennet decided to spend the night after building a camp. When the Sherpa came back the next day, what he found haunted other Everest enthusiasts for years to come – Hannelore was found with her head resting on her backpack, eyes frozen and hair billowing in the wind. It stayed that way until a gust of ice cold wind finally blew her body off her resting place. Ray Gennet’s body was never found. When mountaineer Francys Arsentiev and her husband Sergei decided to scale Everest without bottled oxygen, everyone was a sceptic. However, they succeeded to do so, but with little luck on their side. On their way back down, they were exhausted, and had to spend another night on the slope with barely any oxygen. Somewhere the next day, Sergei got separated from his wife and tried to climb back up the mountain to find her. Long story short, his body was found a year later, and from the looks of it, he had fallen to his death. 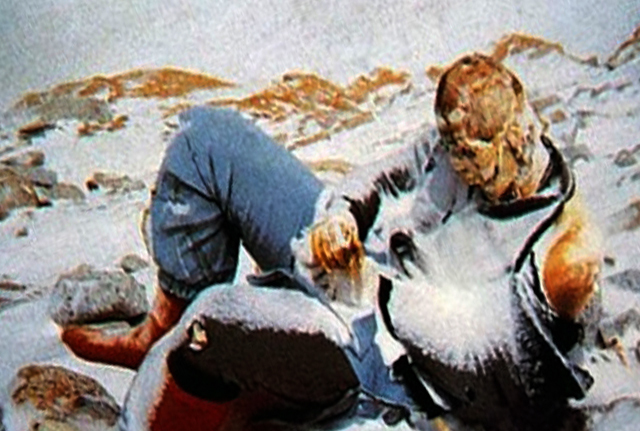 As for Francys – she was found by two other climbers with little life left in her, and they stayed till her very end. Her body was lowered out of site of regular climbers and she was given a sort-of decent last rites to the dead. Another brave soul who traversed the difficult slopes of Mt. Everest was local resident Namgyal. They say you can play with fire only so many times before you get burnt. 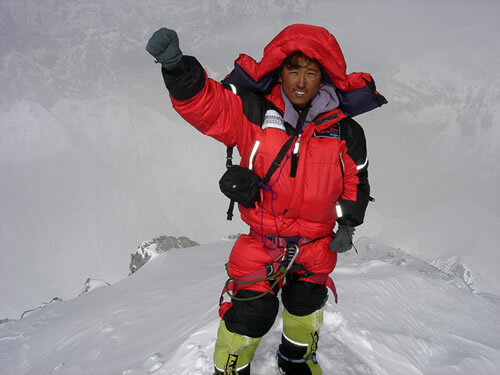 The same goes for this brave Sherpa who was part of the expedition to clear Everest of all the trash and some bodies left behind by climbers. During his own life, Namgyal has scaled his favourite mountain a cool 1o times, but the 11th was to be his last. At 8,000 metres (the location of many-a collapse and death of unfortunate climbers), he pointed to his chest and breathed his last. He had not been feeling particularly well during this last ascent.